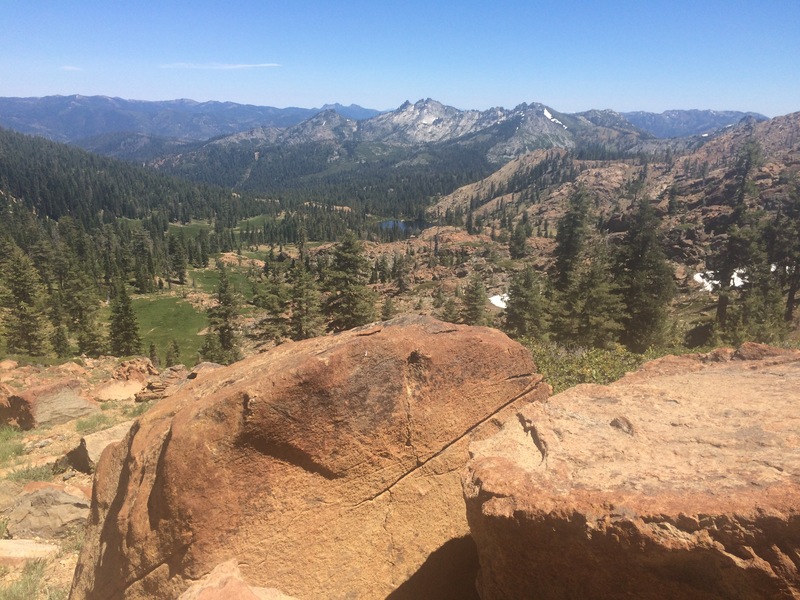 We’ve heard many things about Trinity Alps. From, the snow is likely not too bad, through there are many sketchy snow covered miles, to they might not even melt this year. 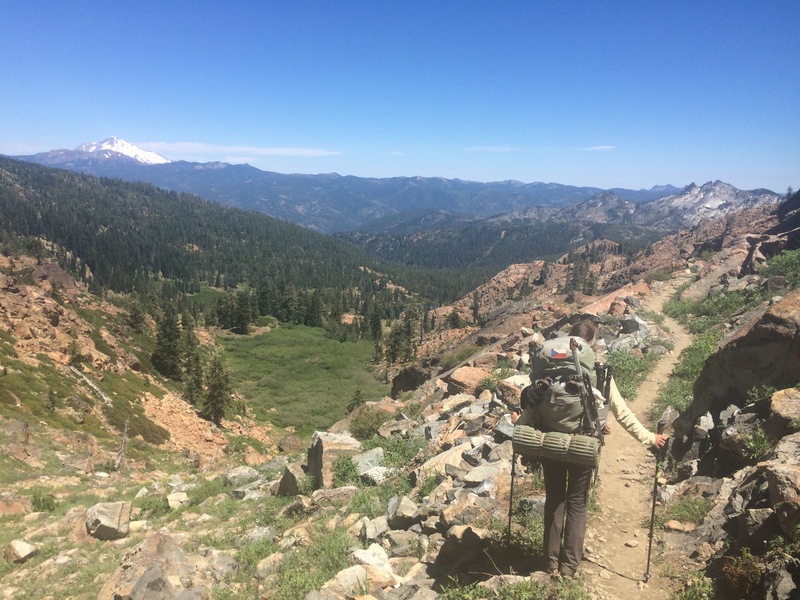 One thing people agreed on was that the Trinity Alps are amazingly beautiful and should be considered as one of the best stretches of the entire trail and we knew we really wanted to see them. So when about a week ago we passed Bonsai and Bighorn, two hikers with whom we frequently saw during the desert section, and who are now hiking Southbound from Ashland, we got first hand information from people we trust and they agreed that the section was not bad at all with most snow left after Etna and even that was passable. 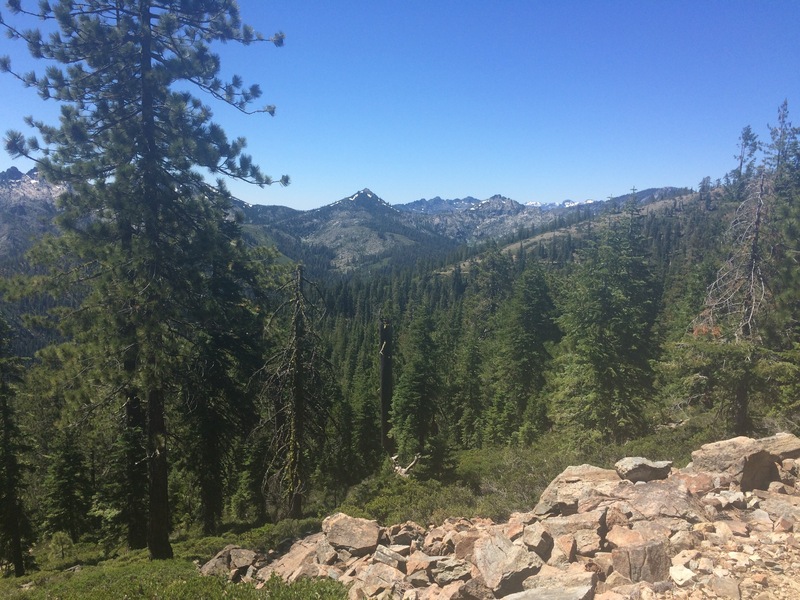 So we went for it and today in the morning we were only 10 miles from the Trinity Alps Wilderness and all its amazing views. 10 rocky miles, mind you, but still with the first 6 being relatively easy we hoped to get them done before 10 a.m.
We came about half mile short, and that was all right. The fact that the first couple miles were a treed uphill without a view was ok too since the sun started to heat the day up then. After the forest walk, the terrain broke into meadows and streams and one of camp them became our lunch spot. After an hour in the shade, it was hard to get going again. The trail gained on steepness, now not wasting any time taking us into the spectacular alpine environment, and at the same time it was the hottest part of the day. Later the views came and our mileage suffered even more. 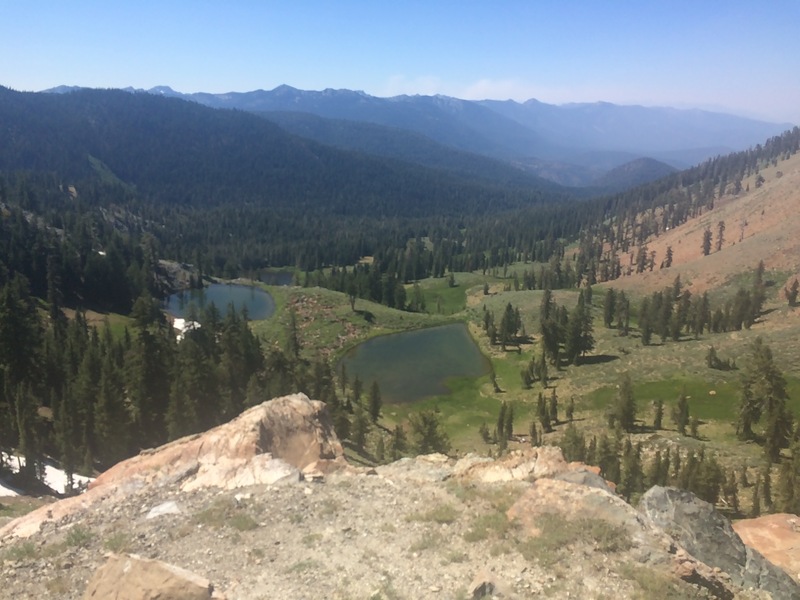 Trinity Alps were just as beautiful as we were told. The trail, rocky, and crumbling at spots took us around a valley first, teasing us with views of the landscape of red and grey rock, then we skirted some cliffs and got directly into the environment. There were still remnants of snow left, couple patches we crossed and others that were off trail. I could see how snow at other places could pose a danger but for now the passage could not be easier. Actually it could, if the sun turned the heat down twenty degrees or so. We took advantage of the many streams in the area, and only carried liter of waster each for the entire day. Camping; however, was dry again and so we spend about 20 minutes filling up at the last available stream. We got eaten by mosquitoes there and I was worried that we would find similar situation at camp, but bring further from water, the bugs were not as bad. The site, once again had a nice view into the valley and I’m sure sunset was quite fabulous, but neither of us lasted that long. 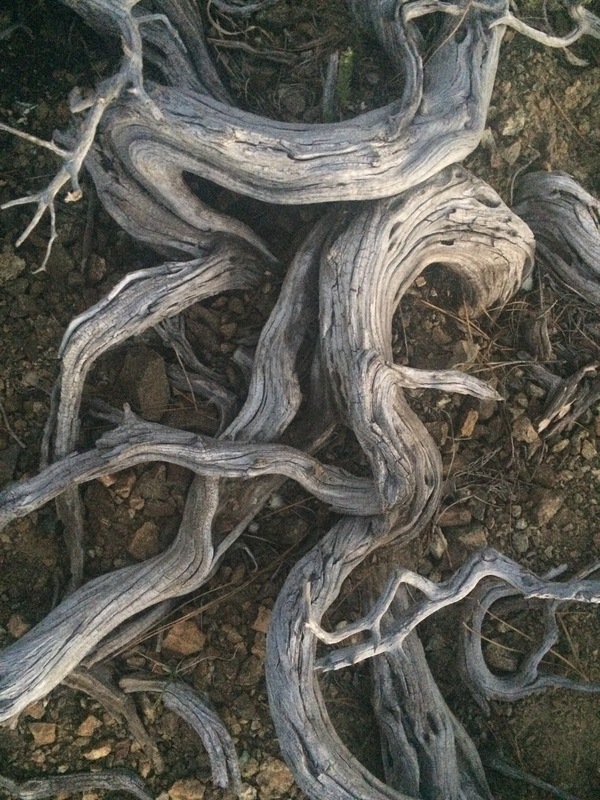 We were both in bed by 8:00 p.m. so that we get up early tomorrow and can hike some 20 more miles.